Wits Fencing Club team members win three medals at provincial tournament. The Wits Fencing Club kicked off its 2018 season, claiming three medals at a provincial tournament hosted in Soweto last weekend. 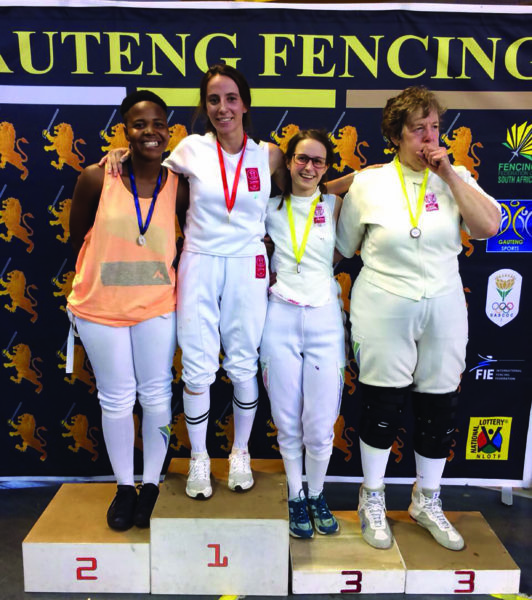 The fencers participated in the Gauteng Fencing Association (GFA) ranking tournament at the Orlando East Community Centre on Saturday and Sunday, February 17 and 18. The fencing club chairperson and postgraduate LLB student Frankie Snyman spoke to Wits Vuvuzela about the club’s participation in the tournament. “We had a rather successful tournament. We brought a much larger number of members than we normally would. We have a lot of new fencers and we’re so excited for them,” said Snyman. Postgraduate LLB student Andrea Cabanac secured a gold medal for the women’s foil weapon category, and a bronze medal for the women’s epée weapon category while fourth-year BHSc Biomedical Sciences student Tarryn Maggs took home a bronze medal for the women’s foil weapon category. The Club, the biggest university fencing club in the country, according to Snyman, will be organising internal tournaments throughout the year in the aim of collecting revenue for the club. The club will also be participating in all national and provincial tournaments. Wits Vuvuzela spoke to the fencing coach, Andrey Kovrijnykh, about the club’s strategy for the 2018 season. “Our strategy for this year is to intensify technical training as well as increase training to four times a week, with the intention of increasing the amount of medals we receive at provincial and national tournaments and enhancing the overall calibre of fencing at the Wits Fencing Club,” he said. The club will be participating in an internal tournament this weekend and a national tournament in Limpopo in March. The team is in the process of arranging a University Sports South Africa (USSA) tournament at Wits later in the year.